"From the first phone call you can tell these people really care about you and your baby's health!" Our physicians are all on the active staff at Overlake Medical Center in Bellevue, WA. James D. Haines, MD, grew up in Michigan. He did all his medical training at the University of Michigan in Ann Arbor. In medical school, he was elected to the Alpha Omega Alpha honors medical society. He joined Overlake Obstetricians and Gynecologists in 1980. Recently he was named one of Seattle’s Top Doctors by Seattle Magazine. Jim and his wife, Amanda, live in Kirkland. They have three sons. The family enjoys theater, snowboarding, climbing and scuba diving. Michael M. Lawler, MD, grew up in Montana and attended the University of Montana. He received his medical degree from the University of Colorado School of Medicine and completed his residency training at the University of Michigan Medical Center in Ann Arbor. He practiced in Hamilton, Montana before associating with Overlake Obstetricians and Gynecologists in 1990. Dr. Lawler is married and has four children. He and his wife are actively involved in scouting and church-related activities and their family enjoys skiing, golf, and other sports. Kristin J. Graham, MD, grew up in Minnesota. She went to Wellesley College and received her medical degree from the University of Minnesota Medical School. She did her postgraduate training, including one year in high-risk obstetrics, at Harvard. She practiced in Boston, Massachusetts before joining Overlake Obstetricians and Gynecologists in January 1992. Dr. Graham is married and has two sons. She enjoys skiing, biking, hiking and running. Dr. Graham is the chairperson of the obstetrics and gynecology department at Overlake Medical Center. Jonathan I. Paley, MD, was raised in Upstate New York, graduating with Distinction from Cornell University with a degree in Psychology. He received his MD, with Honors, from the University of Rochester School of Medicine and Dentistry, and then completed his residency training at the Duke University Medical Center in North Carolina. Dr. Paley has practiced in both Minneapolis and Seattle before joining Overlake Obstetricians and Gynecologists in October of 2000. His wife, Pamela, is a Gynecologic Oncologist and they have two children. The Paley’s enjoy skiing, tennis, and a variety of other outdoor and family activities. Dr. Paley was named one of Seattle Magazine’s Top Docs in both 2010 and 2011. Katherine A. Van Kessel, MD, was raised in California and attended medical school at the University of California in San Francisco. She completed her residency training in obstetrics and gynecology at the University of Washington in 2000 and remained on the faculty there until joining Overlake Obstetricians and Gynecologists in 2003. 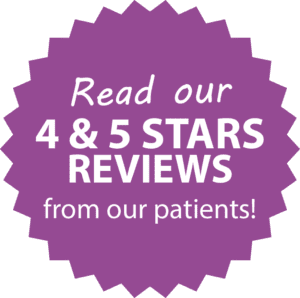 Dr. Van Kessel is dedicated to women’s healthcare and providing a safe and comfortable environment for her patients. She believes that the key to a successful relationship with patients is to listen carefully to them and to involve them in the decision-making process. Special interests are human papillomavirus, cervical dysplasia, obstetrics and general gynecology. Dr. Van Kessel is married and has two sons. She enjoys many outdoor activities and spending time with her family. Desiree L. Otto, MD, grew up in Montana. She moved to the area in 1985 and attended Seattle Pacific University. Dr. Otto received her medical degree and residency training in obstetrics and gynecology at the University of Washington. After completing her training in 2001, she practiced in the greater Seattle area until joining Overlake Obstetricians and Gynecologists in 2005. Dr. Otto enjoys golfing, boating, hiking, and spending time with her husband and their two children. Dr. Christine Werner, MD was born and raised in Nevada. She completed her undergraduate schooling at Colorado State University then attended University of Nevada School of Medicine. She moved to Portland, Maine where she completed her residency training at Maine Medical Center and received the “Resident of the Year” award during her final year. Dr. Werner joined Overlake Obstetricians and Gynecology in November 2011. Dr. Werner believes in a patient-centered approach to medicine and open lines of communication. Dr. Werner is married and has two daughters. She enjoys swimming, hiking, and spending time with her family. Dr. Jean Chakraborty, MD grew up in Omaha, Nebraska and attended medical school and residency at the University of Nebraska Medical Center. She practiced in Mount Vernon Washington before joining Overlake OBGYN. She finds it rewarding to care for women through every stage of life. Fostering strong relationships with patients through open communication is important to her. She enjoys traveling, skiing, cooking and spending time with her family. Dr. Chakraborty’s scope of practice includes general obstetrics and gynecology, high-risk obstetrics, minimally invasive gynecology, contraceptive management, urinary incontinence and women’s health. Her specialty is Obstetrics and Gynecology and she’s currently accepting new patients. To schedule an appointment with Dr. Chakraborty, please call 425-454-3366. Alyson Guillet, MD grew up in Rochester, NY. She completed her undergraduate degree at Dartmouth College majoring in Geography and Spanish. She then attended the University of Vermont College of Medicine and was elected to the Alpha Omega Alpha honors medical society and the Gold Humanism Honor Society. She completed her residency training at Oregon Health and Science University in Portland, OR. She was the Junior Fellow Chair for the Oregon Section of the American College of Obstetricians and Gynecologists and a Fellow of the International Society for the Study of Vulvovaginal Disease. She joined Overlake Obstetricians and Gynecologists in 2018. She enjoys cooking, hiking, backpacking and skiing. Lori Loghin, ARNP, CNM, was born in Romania, and although she grew up in Washington State, she is fluent in the Romanian language. She was a labor and delivery nurse at Overlake Medical Center for eight years while earning her Bachelor in Science of Nursing in 2006 from the University of Washington, and then proceeding to complete her Master’s degree in midwifery in 2010, also from the University of Washington. Lori joined Overlake Obstetricians & Gynecologists in 2010. She lives in Bellevue and enjoys singing in various church choirs, traveling, reading, and spending time with friends and family. Lisa Abel, DNP, ARNP grew up in Upstate New York. She obtained her bachelor’s degree in nursing from Keuka College and her master’s degree in Women’s Health Care in 1989 from the University of Rochester in New York State. Lisa practiced in New York State until moving to Washington State in July of 2000. She came to Overlake Obstetricians and Gynecologists in November 2001. Lisa completed her Doctor of Nursing Practice degree in March 2016 from the University of Washington. She is married and has two sons. Lisa enjoys gardening, quilting, and outdoor activities with her family. Jessica Swenson, ARNP, MSN grew up in New Jersey but now calls Seattle her home. In 1998, she earned a bachelor’s degree in nutritional sciences from Rutger’s University. At the University of Pennsylvania, she received both a bachelor’s and masters in nursing. She has been practicing as a women’s health nurse practitioner since 2004 and joined Overlake OB/GYN in 2015. She enjoys spending time with friends and family including her two amazing daughters. Mary Sienkiewicz, ARNP grew up in Northern Idaho and now lives in Seattle with her husband and two children. She graduated from the University of Washington in 2002 with a Bachelor of Arts in English. She became a nurse practitioner in 2007 after receiving her Master of Science in Nursing from Seattle University. Since then she has had the privilege of providing care for women in all stages of life, with extensive experience in infertility, family planning, adolescent care, cancer survivorship and menopause. She believes in fostering a respectful and nonjudgmental relationship with each patient. Mary enjoys gardening, practicing yoga, running, skiing, reading and spending time with her family and friends. Jennifer Brown, MS, ARNP grew up in Minnesota and Texas. She obtained her Bachelor’s Degree in nursing from Texas Woman’s University in 1996, her Women’s Health Nurse Practitioner certificate from University of Texas Southwestern Medical Center in 1999, and her Master’s Degree in nursing from Texas Woman’s University in 2001. Jenny has practiced in various locations across the United States, and is happy to be residing once again in Washington. She has experience in obstetrics, gynecology, and infertility. She is married and has two sons. She enjoys traveling and spending time with her family and friends.